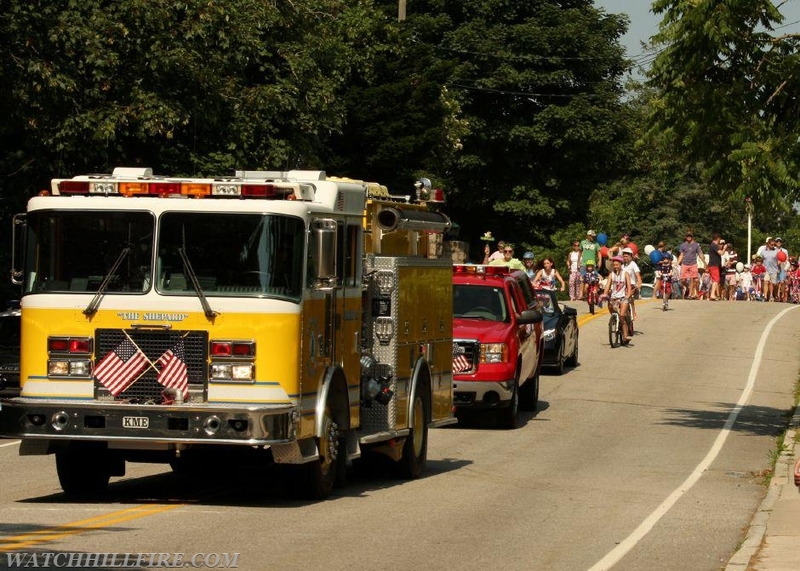 Another long-standing tradition continued this past Independence Day when the residents and visitors to Watch Hill were treated to the annual Fourth of the July bike parade which was led through the village by the Watch Hill Fire Department. A grand time was had by young and old as the nation celebrated its birthday!!! Engine 102 leads the patriotic trek down Bay Street on July 4th.